but made a fantastic start on Tuesday. 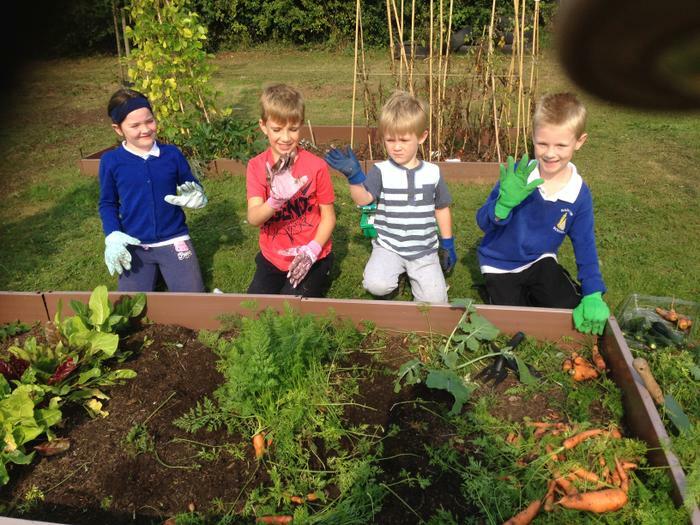 We had a great afternoon digging up the carrots planted by last years gardeners and picking the runner beans, even the ones hiding! We had an abundance of tomatoes which Mrs Wade swiftly turned into tomato chutney and sold to the staff.